were moved here. 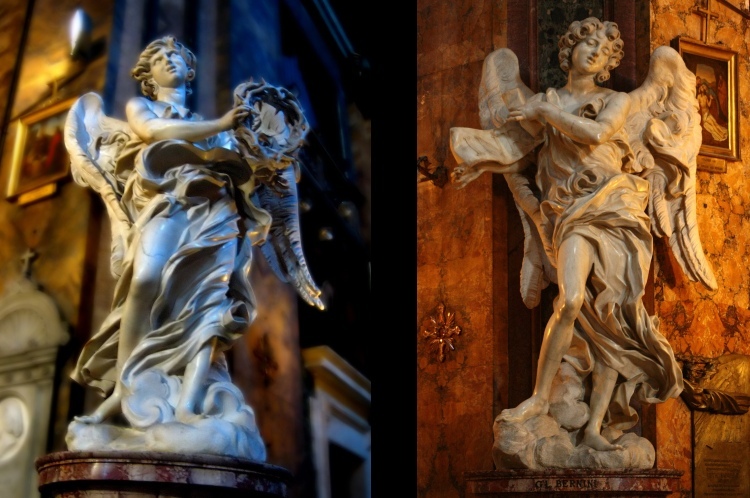 Enjoy the details of Bernini's art from up close and visit the picturesque adjoining cloister. 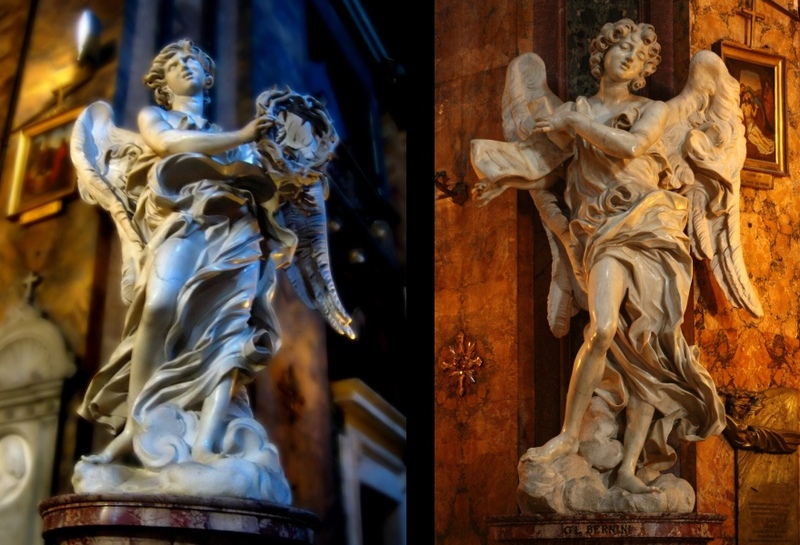 When Pope Clement IX had the chance to see Bernini's angels, the work he himself had commissioned to the artist for the adornment of Ponte Sant'Angelo, he was so utterly astonished by their beauty that he decided not to place them on the bridge. 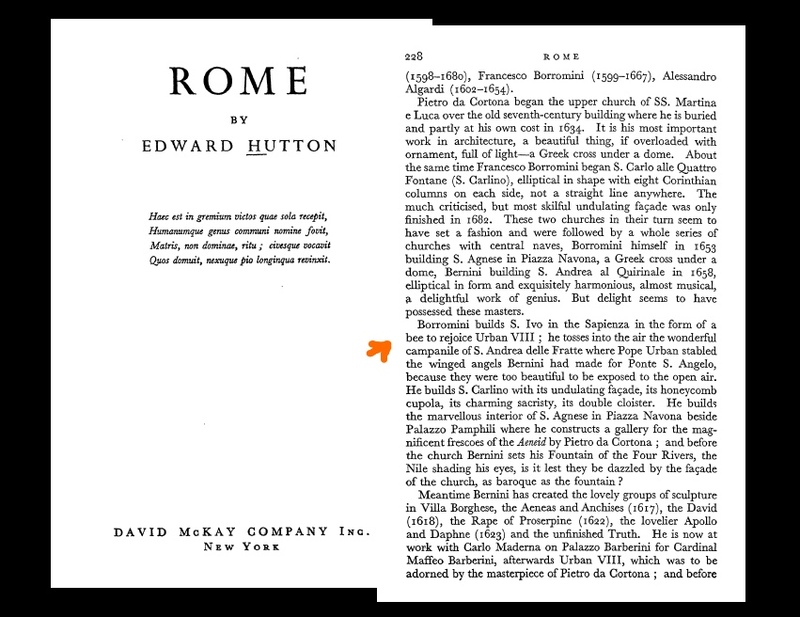 They were eventually moved to this church, where they can be admired in the full splendour of Bernini's marble and craft. 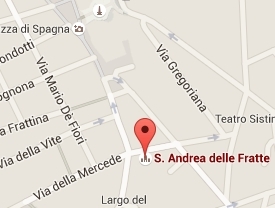 The two masterpieces are housed in St. Andrea delle Fratte, one of the masterworks of Bernini's rival Borromini. 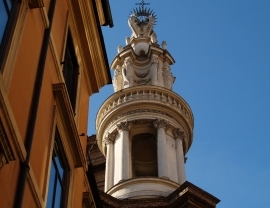 He did not design the whole building, but he if you raise your eyes you will get a glimpse of the campanile, made unmistakably by Borromini's hand with the typically curved lines which signal the excellence of his daring architectural vision. 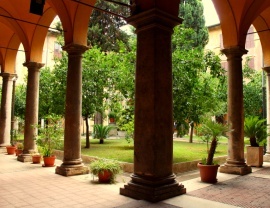 The church is a true accumulation of enthralling elegance: leaving the church, don't forget to visit the adjoining cloister, with its placid and shadowy peacefulness, with columns, trees and a central fountain covered with greenery. A fully picturesque sight. 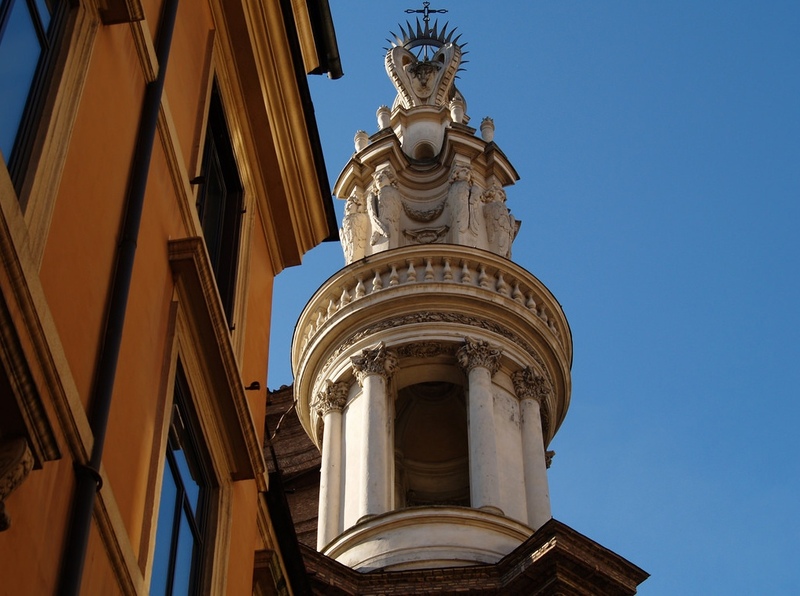 Borromini tosses into the air the wonderful campanile of S. Andrea delle Fratte where Pope Urban stabled the winged angels Bernin had made for Ponte S. Angelo, because they were too beatiful to be exposed to the open air. 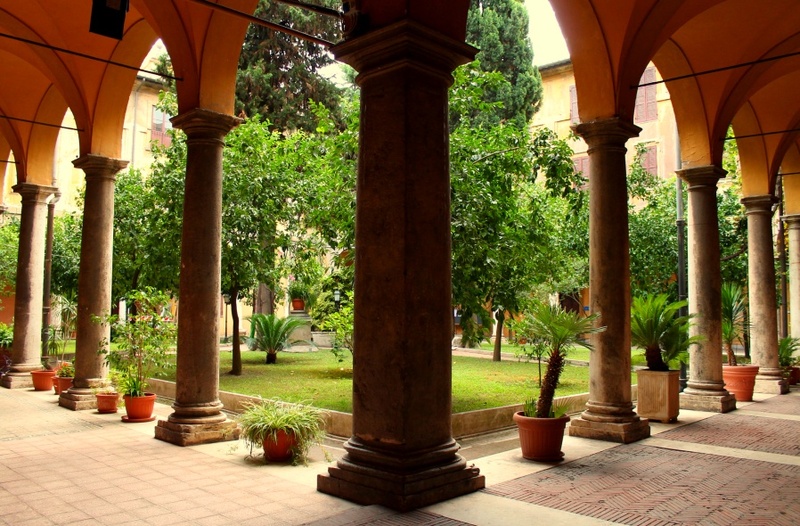 Take some rest from Rome's summer heat in the cloister's fresh shadow.